Solemn Evensong is sung at Beacon Hill’s historic Church of the Advent on Wednesday and Thursday evenings. The 18-voice Advent Choir is a professional ensemble under the direction of Organist & Choirmaster Mark Dwyer accompanied by Associate Organist & Choirmaster Ross Wood on the church’s 1935 Aeolian-Skinner organ. Founded in 1844 in response to the Oxford Movement, the Advent is the oldest Anglo-Catholic parish in America. 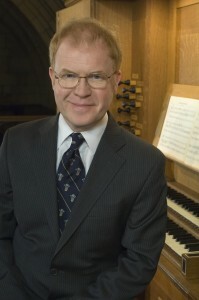 The liturgy combines Anglican Choral Evensong from the Book of Common Prayer with a Solemn Procession for the Feast of Saint Botolph, Boston’s patron saint, with canticles by Herbert Howells, Renaissance polyphony, and the premiere of a new organ chorale prelude by New England composer David Lasky.